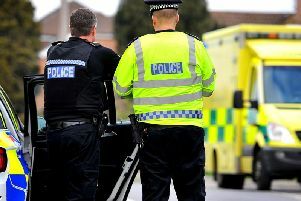 Men from Chichester and Bognor are named in the latest round of drink-driving convictions published by Sussex Police. Police said Roger Nessling, 40, a handyman, of Ferry Drive, Chichester, and Raymond Weston, 38, a groundsman, of Manor Place, Bognor Regis, were both sentenced at Worthing Magistrates’ Court on January 15. The men were arrested as part of a Christmas crackdown on drink-driving that saw a total of 240 arrests across Sussex, 82 of which have since lead to convictions. Police said Nessling was arrested in Cathedral Way, Chichester, on December 31 and charged with driving with 57mcg of alcohol per 100ml of breath in his system. He was disqualified from driving for 16 months. He was also ordered to pay a £230 fine, £85 costs and a £30 victim surcharge, police confirmed. Weston was arrested in Hawthorn Road, Bognor Regis, on December 29 and charged with driving with 56mcg of alcohol per 100ml of breath in his system, police added. He was disqualified from driving for 12 months. He was also ordered to pay a £400 fine, £85 costs and a £40 victim surcharge, according to police.